"The director's a tyrant, I'm out in the desert covered in grease and sweat, four hours solid without a break. I think I've lost a stone in weight. I'm about to climb a mountain in bare feet,probably cut them to ribbons. Director's screaming at me to drop the phone, what? yeh do it all for you darling, love you." "I'm you. From the future." Hello police , its morgain here, there is someone here impersonating me. "I'm sorry, you've got the wrong number, it's not Piers Morgan, it's Morgan Freeman"
- "Well shouldn't be, he should be bloody well locked up!" We need to finish this call, I'm playing cricket in 10 minutes. When you read this caption it will be in Morgan Freeman's voice. "I'm in front of a lady with a red umbrella, standing RIGHT BESIDE a dolly....yeh, IN THE MIDDLE of the photo..."
"Yeah, the set's all ready, just waiting for Rihanna"
After Netflix won exclusive rights to make a spin off series of the movie, they were praised for attracting some of Hollywood's biggest A listers, although some critics weren't impressed with the actress playing the lead character Mary Poppins. He has done so many films that he is set in his ways. "Sorry Mr Wayne. I thought you said you wanted a new 'Batmobile'." 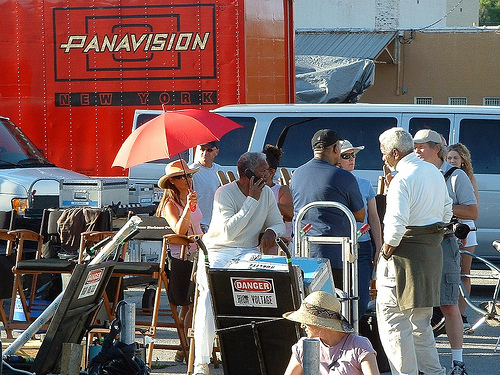 Morgan Freeman puts his heart and parasoul into his films. "Yeah it's Morgan Freeman here. Can you send another stunt double over, this one's thrown a hip." "Is that you Frank, listen, I'm here with my first group going out on safari and I've only just noticed that you've missed the bloody d out of Panda!"